This unique selection has an eye-catching sense of movement as shades of green, silver and caramel streak across the design. Believe it or not, the artist who made these labels created the look by waving his cell phone camera through the air and snapping random shots. It's a reminder that creative ideas can lead to beautiful results. 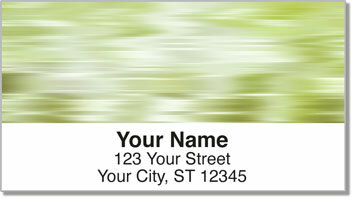 Green Swish Address Labels from CheckAdvantage are a distinctive way to stick your name and return address on everything from envelopes to important personal property. 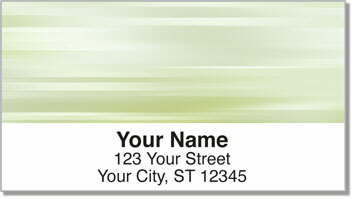 The self-adhesive product makes preparing your outgoing mail easy! 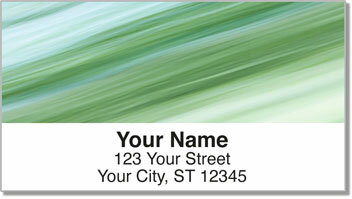 Get your very own Green Swish Address Labels now! 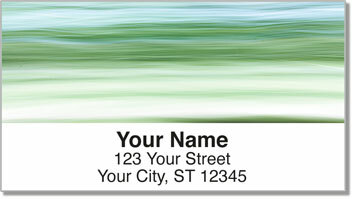 You can also order this one-of-a-kind design in a set of matching personal checks!